A classic, in which Hawking writes (using non-technical language) about things we take for granted. One can learn about space, time, black holes, the Big Bang, as well as major scientific theories used to describe the universe. There is also some space devoted to God's place in a scientific world and how some theories were eagerly embraced by the clergy, while others were rejected. 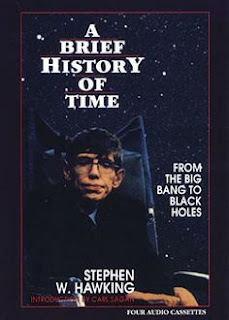 The original book was published in the late 1980s but time has shown that many of Hawking's predictions have proven true, despite him limited access to advanced technology at that time. He's obviously one of the greatest minds of our times and while the language he uses here is not too scientific there were some moments where I felt the author assumes more than basic knowledge of certain principles from the reader and felt a bit lost.